Become a member to take advantage of early booking, or register for our free email list to be alerted when performances go on public sale. From just £25 a year, book ahead of the public for all our productions. You'll receive our season brochures in the post in addition to monthly email newsletters. 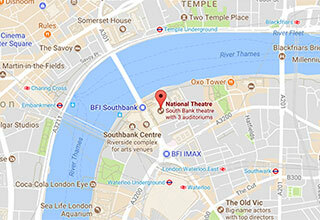 From £6.70 per month, book ahead of Advance Members and enjoy a range of exclusive benefits that bring you closer to the NT’s work including member events and a subscription to the National Theatre Magazine.